Fresh from the release of the Satio, Sony Ericsson has apparently been hard at work on the sequel - the Kurara. 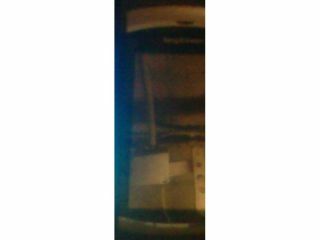 The new phone has been spotted in grainy spy pictures on German forum SE World, and shows the next device based on the Symbian S60 platform from SE. The rest of the facts are based on 'sources' from various internet forums, but state that it will have a large touchscreen (around 3.5-inch) and an 8.1MP camera. As it's part of the Entertainment Unlimited brand (Sony Ericsson's new name for the unison between Walkman and Cybershot) it means there will probably be a Xenon flash and 3.5mm headphone jack included too. And following the recent trend from SE, the likelihood is it will support microSD cards as well, meaning easier access to your tunes from older phones. We're looking at a 2010 UK release date for the Kurara (or Kurana as it's been known in some circles) but that's just the internal codename - we'll update you when we know for sure that we have a real successor to the Satio.